[NEW] San Diego Guide, with travel, dining, and sightseeing tips from the local arrangements committee. 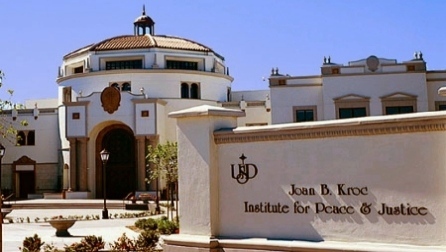 The 2016 SHAFR Annual Meeting will be held June 23-25, 2016, at the Joan B. Kroc Institute for Peace and Justice at the University of San Diego (link is external). Job Search Workshop -- deadline has passed. Social Event -- Friday, June 24, 6:30-10:30pm, at the San Diego Museum of Natural History. SHAFR and the media occasionally record conference sessions for use in broadcast and electronic media. Presenters who do not wish for their session to be recorded may opt out when submitting a proposal to the Program Committee. An audience member who wishes to audiotape or videotape must obtain written permission of panelists. SHAFR is not responsible for unauthorized recording. SHAFR reserves the right to revoke the registration of anyone who records sessions without appropriate permissions. If you have any questions about conference logistics, please contact Julie Laut, the Conference Coordinator, at [email protected]. If you have questions about the conference program, please contact the 2016 program committee co-chairs, Salim Yaqub and Melani McAlister, at [email protected].